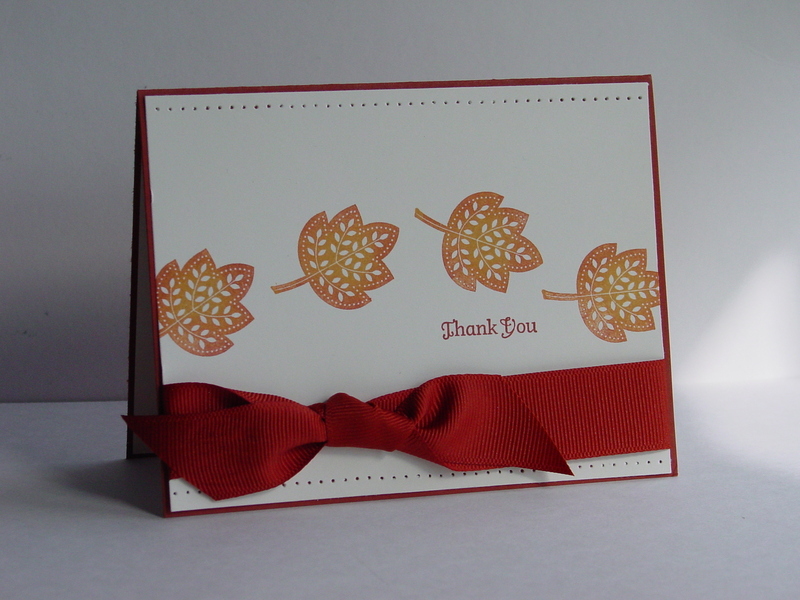 When my mom and I were stamping earlier in the week, we created a couple of cards using my Day of Gratitude set. 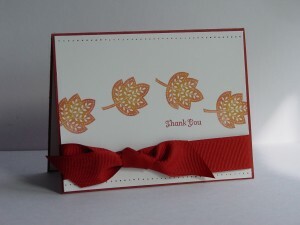 I wanted to show mom that all cards didn’t have to take forever to make (or need tons of products). 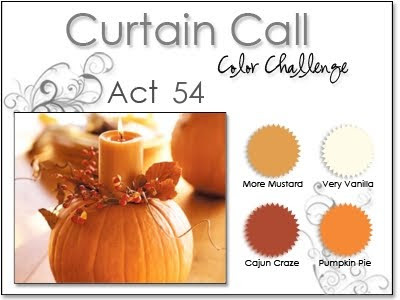 I pulled Stacey’s Curtain Call: Act 54 challenge up and saw her beautiful fall colors. Taking those two, we got to work. I used the Rock and Roll with a Twist technique again. I inked up the leaves in More Mustard and then applied Pumpkin Pie and Cajun Craze with a sponge dauber. Just make sure you clean the stamp in between to keep the oranges off of your Mustard. On went a sentiment in Cajun Craze. It seemed a little plain so I added some piercing and a non-SU ribbon left over from a package. So quick and so cute! 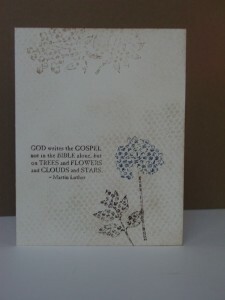 Pretty awesome for a new stamper, don’t you think??!! Well, I might be biased but I love her card! I’m off to work on some Christmas cards. I really do need to get caught up on my own!! Thanks for stopping in and I’ll see you again soon! It is almost ready. My oldest son’s second grade teacher has agreed to have the class make some more Dear Hero letters so I’m making space for those priceless gems! I must admit that I can’t wait to see them. My card today also uses Stacey’s Curtain Call: Act 47 colors. Wonderful, masculine colors aren’t they? Why yes they are and guess what? 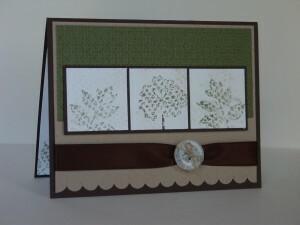 Sharon at No Time to Stamp has a Let’s Hear It For The Guys challenge. Her biggest stipulation is no bows. If ribbon goes on, it goes on in a “manly” way. Ok, well I think I did it within all the constraints. 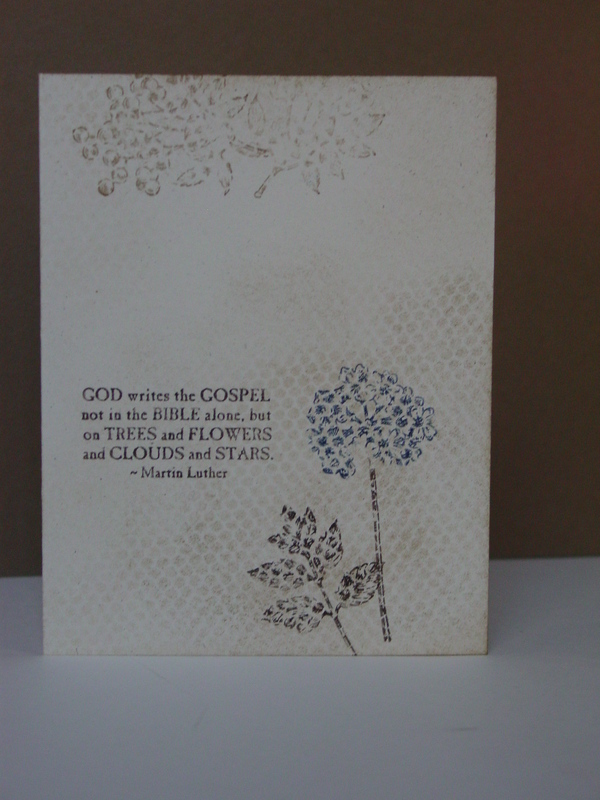 If you click on the picture, you can see some more of the detail in the card. One of my stampers this week is a wonderful “repurpose” fan and she brought over some tulle scraps she had and wanted to see what I would use them for. I put it down and sponged over it to give some cool texture to a one-layer card (posted below). I liked the effect enough to try it again here on the panels. 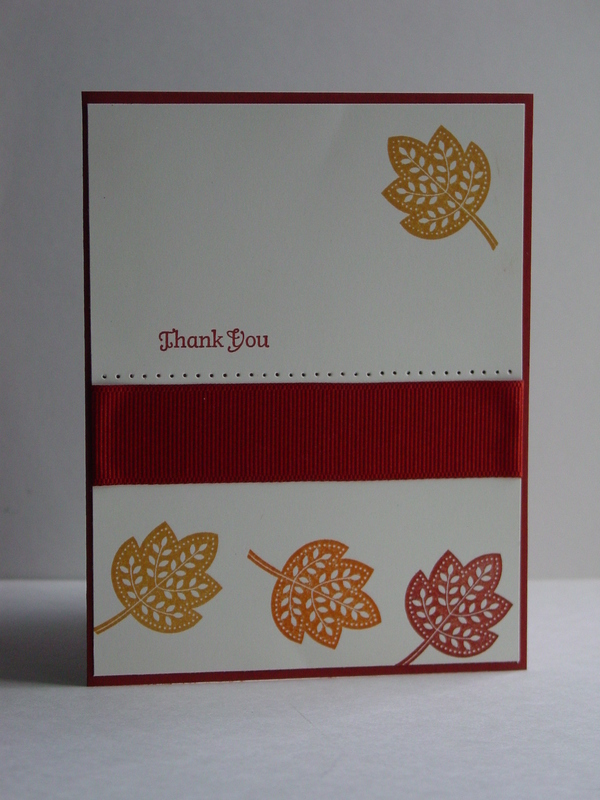 The way the texture mimics the Square Lattice Embossing Folder was something I wanted to see…and I think it works. I stamped images from Le Jardin Botanique (retired) over the tulle as well. 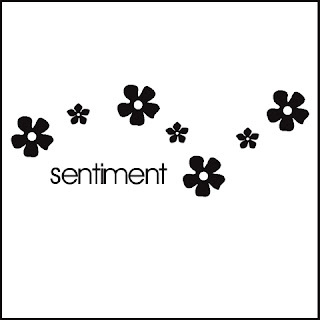 I like how it took girly feel out of the florals. 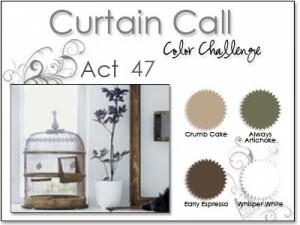 The button was tied onto Early Espresso Satin Ribbon with the very manly Linen Thread. With all those challenges in one card, this qualified for the Pile it On challenge site as well. 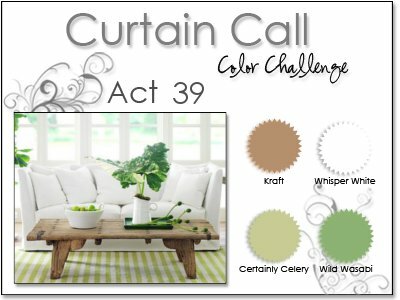 Wow, they put together some serious challenge combinations! 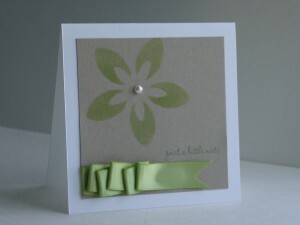 Here is the card where I first experimented with the tulle. It may be my favorite one-layer card I have ever made. Other sponging and stamping over the tulle, it is straight forward but that tulle adds so much. 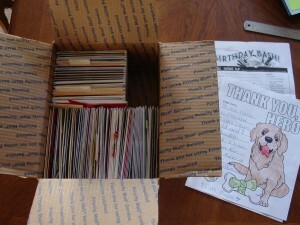 Hope you like it too (it is already safely tucked into the OWH box). Seems I have done quite a bit of typing yet again. I guess the great cause over at Operation Write Home really has me inspired. 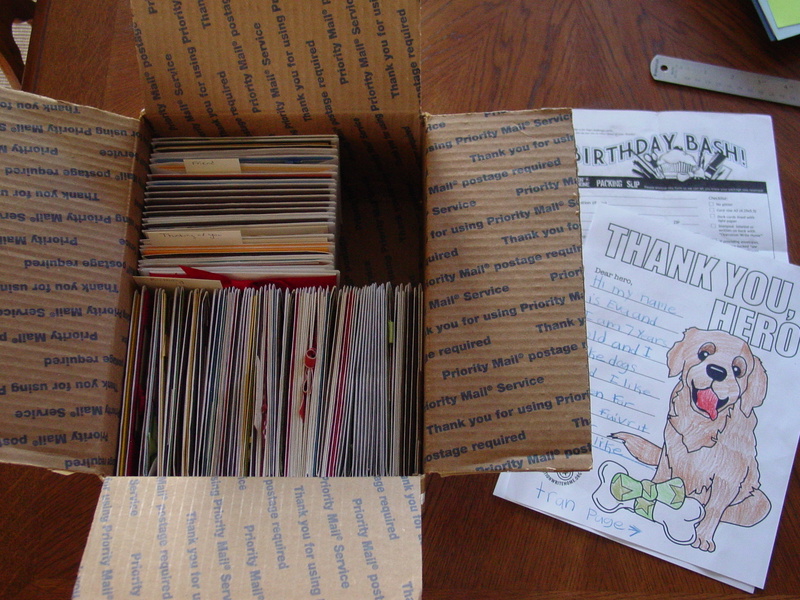 Food for thought: As of September 13, 2010, Operation Write Home has sent 549,112 cards to our deployed heroes. Think about making yours some of the next to be sent! 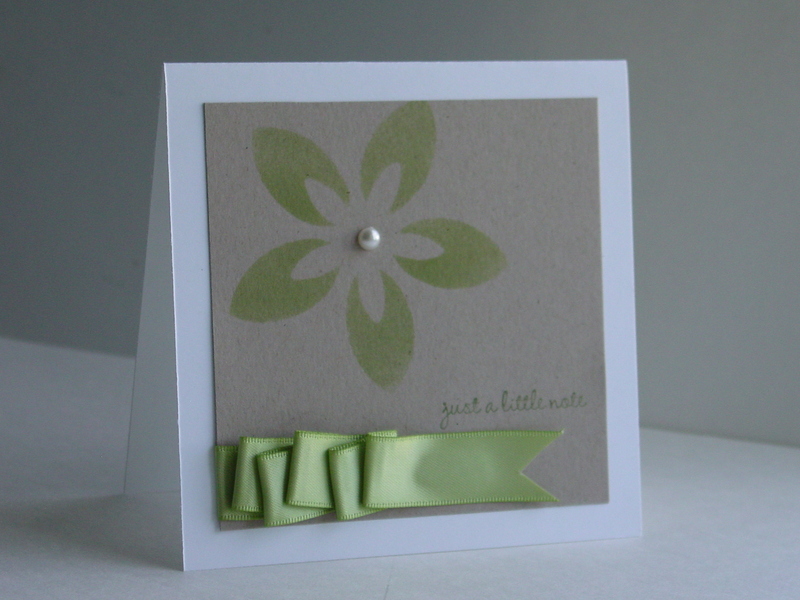 All products (except tulle) are Stampin’ Up! I must say that I wasn’t totally thrilled with the final result at first (although I love each element), but it is growing on me. Definitely more Clean and Simple than I have been doing lately. Let me know what you think. 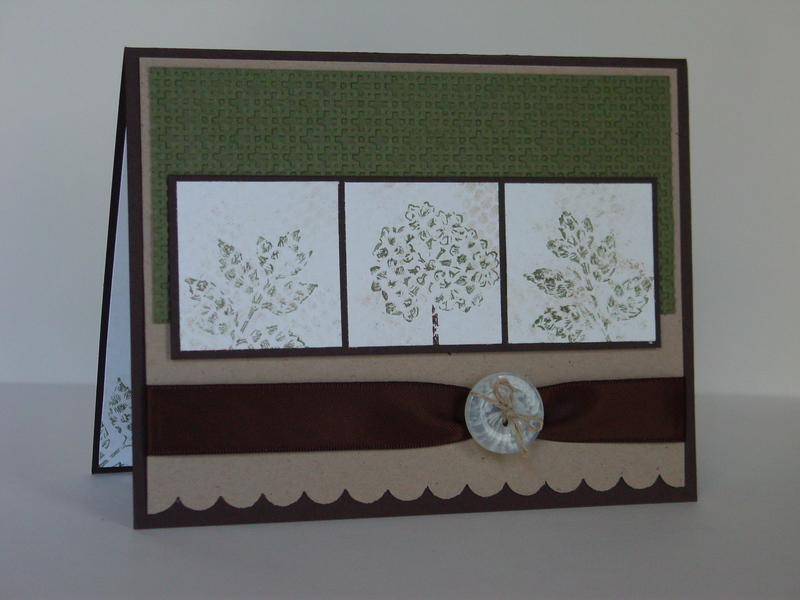 It is a bit out of my box but that is what challenges are so good at doing for us stampers! 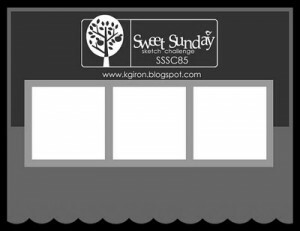 Hope you have a great day…thanks for stopping in!